While the company is not betting big on personal use of EVs, according to Managing Director Pawan Goenka, M&M is looking to bring an electric car based on a platform of Ford with which it has an agreement to develop products jointly to add to its portfolio. "In the short run we are converting our current vehicles to EVs. So we already have e-Verito and we will be launching e-KUV in about six months time and one year after that we will launch electric XUV300," Goenka told PTI here on the sidelines of the Geneva Motor Show. He further said,"post that, we are looking at doing platform ground up for electric vehicles." The difficulty of doing an EV only platform, Goenka said, "is that a new platform costs a lot of money in terms of investment. Electric vehicles right now have not reached a point where we can afford to spend that much money for an electric only platform." Referring to the Battista developed by group firm Automobili Pininfarina which was unveiled here, he said the company could afford to invest on a electric supercar like that as it is a very expensive car but the same could not be done for normal personal electric mobility solutions. "Now, the difficulty is that a new platform costs a lot of money in terms of investment. EVs right now have not reached a point where we can afford to spend that much money for an electric only platform," Goenka said. "So for the short term, it is going to be conversion of internal combustion engine platform to electric platform. In the longer run we will have more electric only platforms," he added. Reiterating that M&M is "not betting in a big way on personal use of EVs", he said,"our view is that it will be mostly commercial...when we launch XUV300-electric there perhaps we will have two options...one for shared mobility which will be low cost option and one option for personal mobility." Referring to M&M'a partnership with Ford, he said at present M&M is trying to see how its alliance with Ford, and the one with Ssangyong can be leveraged fully to help each of the three associations to reduce product development costs and get larger economy of scale for purchasing by having a common platform that the companies share across. "Right now we are in midst of deciding on two platforms with Ford...one is compact SUV which we have talked about and the other one is a battery electric vehicle on a Ford platform," Goenka said. On the EV roadmap, he said M&M would focus its energy on electric vehicles and would not get distracted by hybrid technology. "We cannot do everything (electric and hybrid)...We will continue to focus on EVs and we may come into strong hybrids. I am not saying that we will never do it (hybrids) but right now our focus is on EVs," he asserted. 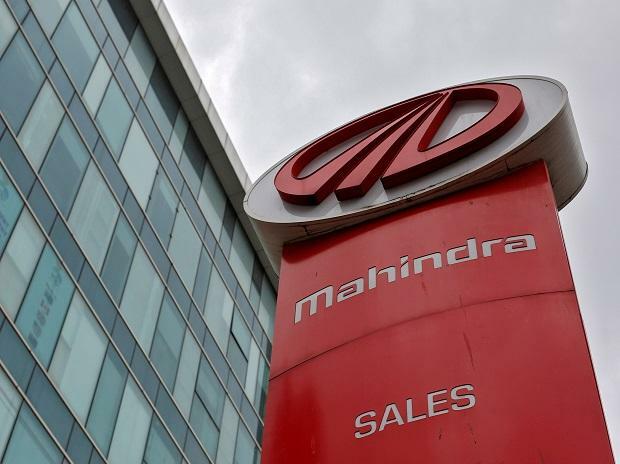 Although that government has provided some support for strong hybrids under FAME II scheme, Goenka said that would not change M&M's stand of focussing on EVs. When asked about overall new product pipeline, Goenka said in the recent past the company has done three launches of Marazzo, Alturas G4 and XUV 300. "After this for the next 12 months our full focus will be on BS VI. There would not be new launches although there can be few refreshes that can happen," he said. After that, he said: "We will have our new series of launches. We will have two-three new product launches in the next 24 months, (FY21 and FY 22), including electric and internal combustion engine.